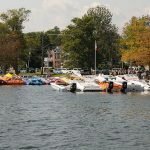 MUSKOKA LAKES: JUNE 15-17 – Performance Boat Club Events Inc.
Big shout out and thank you to our title sponsors Birchpoint Marina and All Ontario Recycling! And a big thanks to new sponsor Hull Life Insurance! 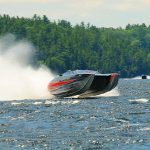 We always have a blast on the Muskoka Lakes and this year will be no exception! We’ll stay at the Residence Inn Marriott and depart from the wharf at Gravenurst Dock on Saturday morning. One again we are raising money for Camp Oochigeas, which serves over one thousand children with, and affected by, cancer. Truly a great cause. Did you know that there are numerous expenses and challenges associated with sending a sick child to camp, and it can cost as much as $4000 to send one child sick with cancer, and their support network, to camp for two weeks? Time TBA – blast off! HOTEL INFO: THE ROOM BLOCK AT THE HOTEL IN MUSKOKA IS SOLD OUT BUT MEGHAN HAS 5 ROOMS RESERVED UNDER HER NAME. PLEASE CALL HER AT 647-290-8672 TO BOOK YOUR ROOM. Camp Ooch programs – provided in hospitals across Ontario, at our day camps and our beautiful overnight camp in Muskoka – are free to families. Ooch relies on the generosity of its donors and a team of 500 highly committed volunteers to make this possible. The cost to send a child to Ooch for a two-week session at overnight camp is $4,000. Camp Oochigeas (Ooch) is a privately funded, volunteer-based organization that provides kids with and affected by childhood cancer with unique opportunities for growth through challenging, fun, enriching and magical experiences. The mission at Ooch is to let kids affected by Cancer be who they are, not what they have; to let kids with cancer, just be kids! Ooch offers year-round programs at our various sites: Overnight Camp in Muskoka, at SickKids, McMaster Children’s Hospital in Hamilton, Children’s Hospital of Eastern Ontario in Ottawa and the Children’s Hospital at London Health Sciences Centre along with three regional cancer centres in the GTA and at day camps. Ooch is unique among Canadian oncology camps, providing IV chemotherapy and other blood work under the supervision of oncologists and nurses at our overnight Camp, allowing medically fragile kids to know the joy of going to Camp. Ooch wants to ensure every kid affected by cancer in Ontario has the chance to ‘go to Camp.’ Currently, 2,400 kids with cancer in Ontario do not have access to an oncology Camp. Support from the Muskoka Lakes Parade of Power makes it possible for Ooch to provide more fun and friendship and send more kids with and affected by childhood cancer to Camp.